Toughest call for me was Wario Ware vs. Tetris and DK94 vs. Zero Mission. I've never actually played Tetris on NES but as fun as Wario Ware is, Tetris beats it out on lifetime achievement. 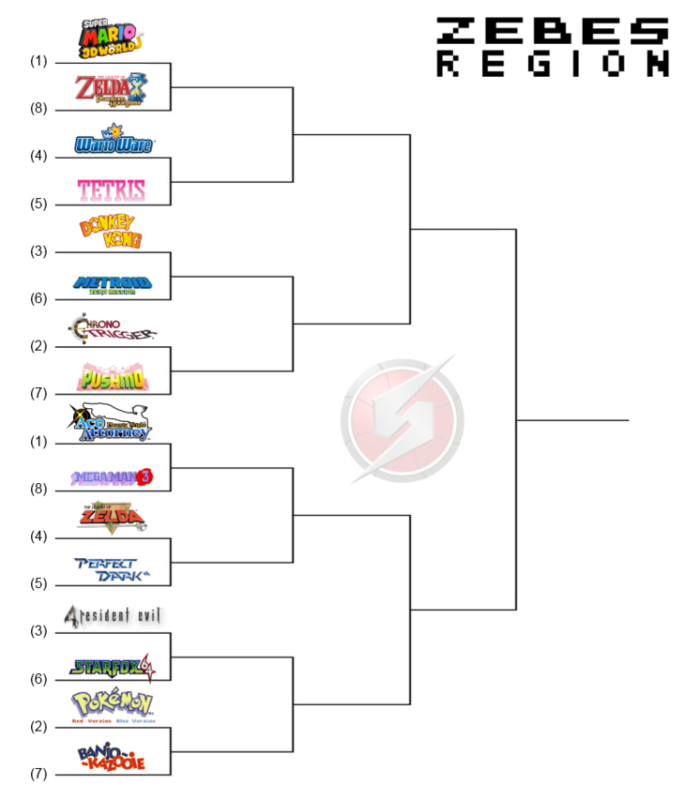 This region happened to have some beloved games that I don't care for much like Mega Man 3, RE4 and Banjo-Kazooie so voting was pretty easy otherwise. Plus it features LOZ the GOAT. Thanks for making this a write-in Poll only since apparently the Poll-Polls are subject to tampering. Will we get as many folks turning out here if they have to be tied to their vote? We'll see! Woo, look at underdog Star Fox 64 go! EDIT- Oh! I didn't know we were supposed to write something extra in here? Most handheld games will get dumped by me for not even playing them, but they've been matched up against some good games that I have played and enjoy, so its been mostly easy. For the folks who think "HEY! He hasn't played Donkey Kong '94!," you'd be WRONG WRONG WRONG. One of my friends had a Super GameBoy, and I'm pretty sure I beat that thing. I own Pokemon Blue, too; I wish things were simpler like they were then. I was working on my Pokemon Team(s) for my NCAA game yesterday, and they're up over 700 Pokemon now? What..in the world. I can't be the only one who thinks "thats too much." The newer games have to be rife with redundancy. By the way, I can't stop you from strategically voting to make it so your game/s of choice have an "easier path" to the championship, but doing so is considered lame in the official rulebook. You are encouraged to vote on each matchup individually without considering how it will impact future matchups. -Yep, not a big fan of PH. 3D World is good fun. -MZM is great and I played through it 7 or 8 times in a row, but DK'94 is just classic. The ape takes it! Friggin' Chrono Trigger. As much as I like Pushmo, CT has to get my vote. Clash of the Capcom classics. It's close, but MM3 is my favorite MM game. Another couple of great ones. LoZ is my favorite entry in my favorite series, so it has to take it. RE4 is probably my favorite non-Nintendo game ever. Oh, behind FF3. Ummmmm…very close here, but Banjo-Kazooie. EDIT: Eh, I just realized even I don't care what I had to say. Guys, would you mind editing your responses so that all your votes are together and all commentary is at the bottom of your posts? Thanks. EDIT: Which means I do something. Damn, foiled by my own slang. Editing now. This was an easy set of choices. Several games were chosen simply because I haven't played their opponents. Others were chosen because they exceed their competition by a long shot. Some of my choices make it clear that I am not basing my decisions on how revolutionary or impactful these games were when they were released. I'm also not taking into account how the creation of one game led to design elements or the entire existence of other games. If I did that, Pong or some earlier, more obscure game would be the best game ever. It's all about how much I enjoyed these titles. Do you think a running total is "good for business" or a "recipe for disaster?" I vote recipe for disaster. It'll encourage people to strategic vote. Which is lame. I didn't want you to delete your comments! I hadn't even read them yet And it looks like the damage is already done. Haha. I should have realized that I can't control chaos. It's like Jurassic Park or something. Yea, no running tallies, but people are free to count things up and see what's going on on their own. I cared! But I refereshed the page and missed it. Boo. A1. SOMEONE Has to stand up for Phantom Hourglass in this vastly unfair fight. Besides PH used the DS features way more than SM3DW did the Wablet. A4. You can't go past classic Tetris. A3. DK'94 is a great game, but Zero Mission was perfectly designed in every way. A2. Chrono Trigger. Great game and never played Pushmo, sorry. B1. Same deal. Phoenix Wright is excellent and what little I played of Mega Man left me frustrated. B4. Oh man, tough. I respect LoZ for what it did and what it paved the way for, but I had way more fun with Perfect Dark. Gotta take the outsider again here. B3. Another tough one! 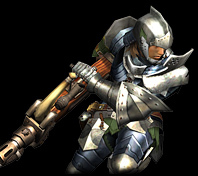 I gotta go Starfox based on sheer replayability, but goddamn RE4 is incredible. B2. Oh come on. I think I hate you Jargon. What kind of choice is this?! ..Ugh Banjo I guess. I'd rather a new Banjo game than another Pokemon RPG. PS. Bonus hate for the ridiculous numbering system I've been forced to utilise for this list. 1. Easy choice, didn't play much of Phantom Hourglass but SM3DW is great. 2. Not a big fan of the first WarioWare but also not really that into Tetris, especially the most outdated version of it. 3. This was the toughest one, but I give the nod to Donkey Kong for being a great pick-up-and-play game, better suited to a handheld than Metroid. 1Z: Never played a Pheonix Wright game but I like Mega Man 3. 2Z: Easy choice, Perfect Dark is still my fave N64 game. I don't expect it to win though, but I'm not too upset about that as I still like the original Zelda. 3Z: Never played either, but Star Fox 64 looks more interesting to my tastes. 4Z: I imagine most people voting for the most archaic and outdated Pokémon game are doing so out of nostalgia. Not that there's anything wrong with that, but it's unfortunate for a still-great game like Banjo-Kazooie. @Shadowlink Why, is the VC version the best or something? Man, some tough decisions. That will only get toughed as time goes on.